Do you know why the Gold Coast looks so great from the Dolphin Beach Club? It's because you can walk out your door, walk past the lovely pool and you're right at a beautiful, white sandy beach. Of course, you just might want to socialize at the pool, meeting new friends or gather with your family under the gazebo. This is not one of those big box resorts. It's a small, cozy and comfortable resort, just 3 stories tall. So it's a great place for a relaxing vacation away from the loud, touristy resorts that seem more hectic than fun. 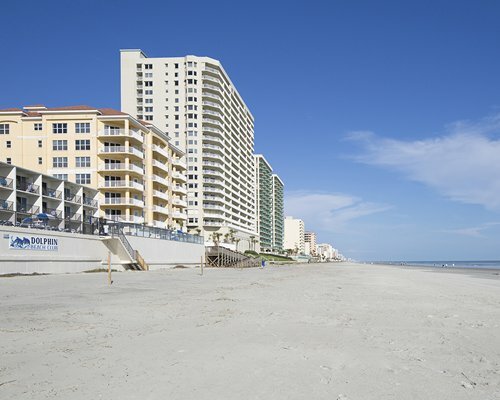 The beachfront location is also just a short drive from some excellent restaurants and tons of activities that make Daytona Beach such a popular resort town. Studio and 1-bedroom units both sleep 4 people. 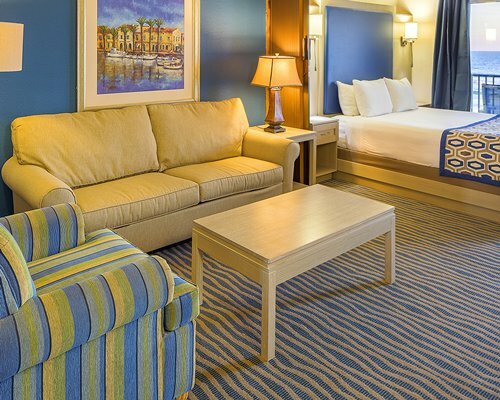 The studios are especially suited for families with two kids. 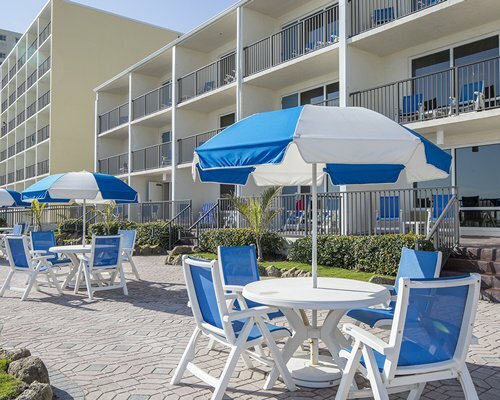 The grounds and the units are well cared for and the friendly staff make for an enjoyable and relaxing visit. The kitchens aren't that large, but there's definitely enough room to buy some fresh Florida seafood and cook a delicious meal. 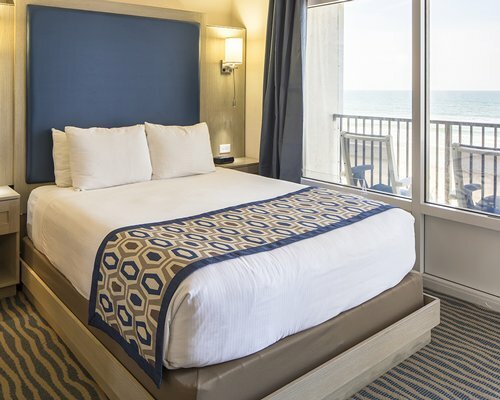 Being on the beach always has its advantages, the studio units are cozy but offer a spectacular view from your balcony or porch. The 1 bedroom units face the parking lot but offer slightly more living space than the studio. 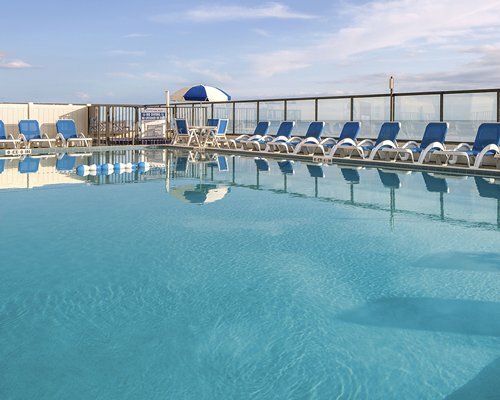 The convenience of having the fun and sun of the Atlantic Ocean just steps away. If you're into water sports, this is the place to be. Go deep sea fishing, water ski, scuba dive, surf, or just sit on the beach and watch the seals put on an informal show. Do you like the thrill of a high-speed chase? Full throttle fun awaits you at the world famous Daytona International Speedway. Families will enjoy the exhibits at Daytona's Museum of Arts and Sciences, and there's even a museum inside the museum that's especially for kids. And you're only about an hour's drive from many of Orlando's stellar attractions, like Walt Disney World and the Kennedy Space Center.